Solar Connections International is a leader in the development and manufacturing of mounting solutions for solar panel installations worldwide. 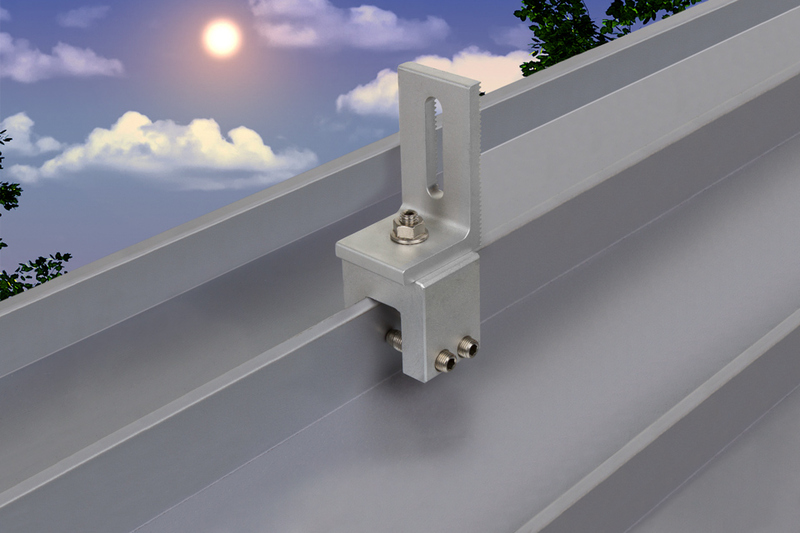 The SC product lines provide attachment options for a rail or rail-free installation on various roof systems globally, including standing seam, corrugated metal, ribbed metal panels, and asphalt shingles. Solar Connections Asphalt Shingle System with the Solar Connections Kit for a Rail-Less Installation. Solar Connections Asphalt Shingle System with L-Foot Bracket for a Railed Installation. Solar Connections Corrugated System with the Solar Connection Kit for a Rail-Less Installation. Solar Connections Corrugated System with L-Foot Bracket for a Railed Installation. Solar Connections R-Panel System with L-Foot Bracket for a Railed Installation. Solar Connections Standing Seam System with the Solar Connection Kit for a Rail-Less Installation. Solar Connections Standing Seam System with L-Foot Bracket for a Railed Installation.